Just a quick (and late) note that I’m going to be presenting in 5 days in Las Vegas on the topic above. 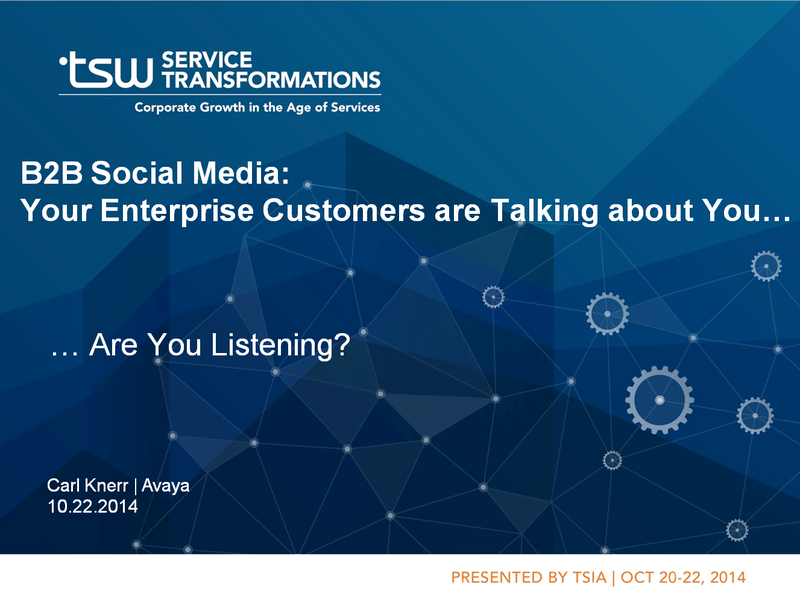 TSIA invited me to present on this topic at their Technology Services World 2014 conference. I presented at this conference on a very similar topic last year, but that was admittedly a very B2C focus. TSIA members are 95% B2B, so there is a lot of interest in focusing on those use cases. What Avaya can do for companies in this space. If you are attending the conference, I’ll be in Bristlecone 4 from 11:30am-12:30pm on Wednesday, October 22nd.